Learn to create a new pproject in Asta powerproject. 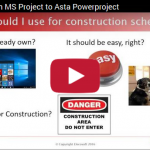 In this demonstration video you will learn how to easily create a new construction project in Asta powerproject construction scheduling software. Follow along with the video below to learn how to quickly create a new construction project in the software application. 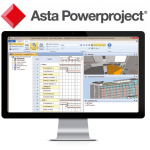 If you would like to learn more about asta powerproject software solutions for the construction industRy check out some of our useful links for additional information. 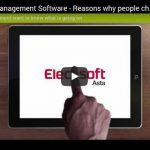 I’d you are new to Asta Powerproject software consider the Elecosoft offer: 14 day free trial of asta powerproject. Available in stand-alone, enterprise and cloud versions, Powerproject also has an integrated BIM module and a Site Progress Mobile app for progress reporting.